Here are a few things of note which have been posted to the BERG studio mailing list this week. Matt Jones linked to a lovely poster from Pop Chart Lab, which organises and visualises the taxonomy of super-hero and super-villan powers. For instance, Powers of the Body/Superhuman Ability/Super Strength shows itself to be a highly populous category, but Weapons Based/Powered Prostheses/Armored Suit/Armored Suit with Telescopic Legs less so, highlighting a possible Darwin Awards subtext to it all. 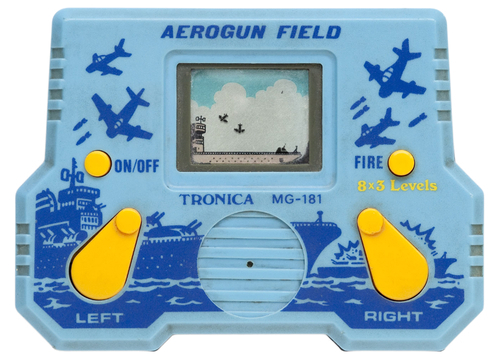 Alex linked to Pica-Pic, a Flash site which lovingly recreates vintage 80’s handheld electronic games from around the world. Matt Webb linked to a page detailing an algorithm for calculating exactly when Easter falls in the Gregorian calendar, which itself is a republishing of an anonymous correspondant in Nature, from April 1876. Hot pseudocode is hot! And finishing on a video, Matt Jones also linked to this clever idea demonstrated on an iPad 2, marrying up a 3d engine with facial tracking from the front-facing camera. Have a great weekend, folks!